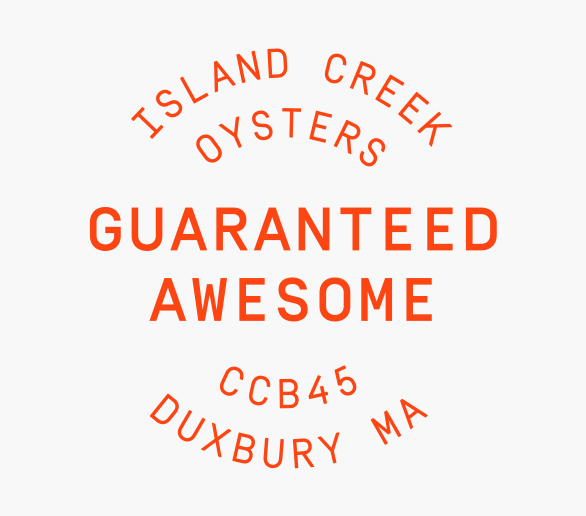 Skip delivered his first bag of Island Creek Oysters to the back door of Cambridge’s East Coast Grill back in 2001. At the time, he was simply trying to regain some business in the aftermath of September 11th. But the chefs there were surprised and intrigued by this rugged oyster farmer that drove their order all the way up from the waterfront. They asked him to bring more bags the following week. Since then, our Direct-to-Chef program has expanded to include over 700 of the best restaurants all over the country. We truck product all over Boston, New York and New England daily. We also ship overnight directly to restaurants across the country. The program has grown up a bit since Skip made his first delivery but our commitment stays the same: fresh product delivered straight to your kitchen by kind people. Period. We offer next day delivery and free shipping on orders over $50.00! We created Island Creek Oysters Foundation to fund projects that promote aquaculture as a responsible means of solving the issue of global food production.